The Russian oil industry is coming under fire from the government for pollution. 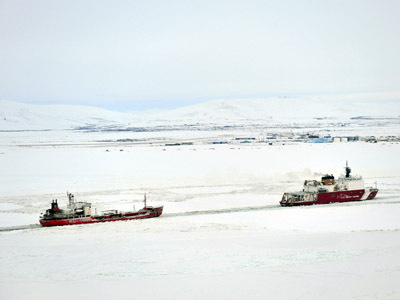 A week after TNK-BP was accused of causing hundreds of oil spills in Siberia, Russian oil major Lukoil reported a significant oil spill in the Arctic. Some 2,200 tonnes of oil could have leaked as a result of an accident at the Trebs oil deposit in the Nenets Autonomous District in Russia. The field holds about 153 million tons of oil and is being developed by Bashneft Plus, a joint venture between Russia’s largest oil producer Lukoil and the smaller Bashneft. Interfax news agency has quoted an unnamed source in the district administration, saying a total of 400 cubic meters of oil, or some 800-900 tonnes leaked daily, with the spill continuing for more than 2 days. It has reportedly now been contained with the spilled oil temporarily kept in a special storage facility. The exact area and amount of damage are still being determined. Lukoil shares dropped more than 2 per cent in midday trade in Moscow, which is within the market general downward trend. Last week Russia’s Natural Resources and Ecology Minister praise of Lukoil has apparently brought the evil eye. Yury Trutnev ordered a lawsuit against the Russo-British oil venture TNK-BP over its numerous oil spills in Siberia saying TNK-BP reported 784 accidents in 2011 compared with around 20 by its rival, Lukoil. 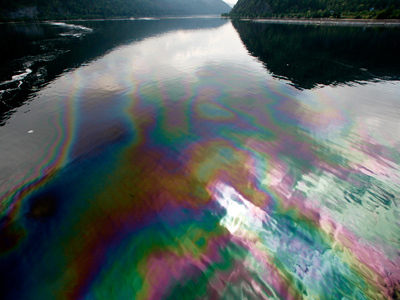 According to Trutnev each year up to 500,000 tons of oil and oil products are leaked into the Russian Ob and Yenisei river basins with TNK-BP being the biggest offender. Trutnev accused the company of paying too generous dividends instead of investing in the infrastructure and improving the poor state of the company’s pipelines. The British part of the company- BP is said to have received $19 billion in dividend payouts since the joint venture was formed in 2003. Trutnev gave the company one month to clean up the spills from the polluted 2,200 hectares. The shares of Moscow-traded TNK-BP closed down 4.5 percent after the comments, underperforming the broader market, which was down only 0.3 percent. 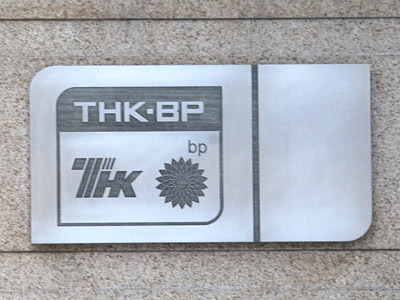 The shares of oil major BP, which owns half of TNK-BP were down 1.3 percent. The action is another headache for TNK-BP's legal problems and represents a new headache for BP, which failed last year to secure a lucrative deal to drill in the Arctic with state-controlled oil major Rosneft. However, oil and gas analyst from Gazprombank, Alexander Nazarov says the news will not have a long-term negative impact on TNK-BP’s shares. “It’s all about the money. The short-term drop in the company’s shares is caused by investor concern over dividend payouts. The company will need to allocate up $1.5bln to $2.5bln to clean up the spills. Compared to the big money the firm pays in dividends this sum looks insignificant”. This current spill at the Lukoil-Bashneft deposit is not the largest though it certainly adds to worries over pipeline safety coupled with increased calls from environmentalists spurred by the latest Arctic deal between Rosneft and US giant Exxon Mobil. Ecologists say offshore production in the Arctic would destroy the natural habitat. Nazarov is not inclined to exaggerate the negative repercussions for nature. “Oil spills in Russia are not the largest – nor in terms of the amount of oil spilled or in terms of the environmental consequences. Unlike the US which mostly drills off-shore Russia’s oil production is 90% onshore. And an onshore oil spill is nothing like when it happens offshore,” he maintains.